Portfolio Cars, which runs a fleet of executive Jaguars worldwide for VIP travel, has deployed 30 Jaguar XF Sportbrake models for its partnership with Heathrow Airport. The XF Sportbrakes will be used by Portfolio to transport its VIP customers around the airport and were chosen for their 1,700-litre maximum load space and self-levelling suspension. 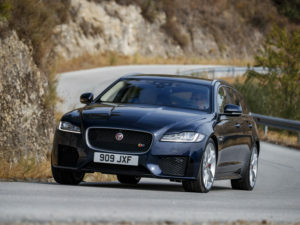 The firm already runs 18 Jaguar XF saloons, which were deployed in late 2015 alongside two Jaguar XJ LWB models, replacing a fleet of Mercedes-Benz models. These were joined in late 2016 by eight XJ LWB and 38 XF models, followed by a further 10 XF models in April 2017.